Something amazing has happened to consumer electronics. Companies can update their product software and enhance its features for many years after you take your new purchase home. At Tesla (TSLA), CEO Elon Musk recently took this concept to a new extreme in a Twitter exchange with a customer. He read the customer’s gripes about some small stuff, like adjusting the headrest. Then, he promised to fix the problems in a future software update. Think about that for a moment … No taking the car to the garage. No apologetic service managers. Just an over-the-air software update. Software really has eaten the world. And it’s changed everything. Some say Tesla’s an anomaly. It’s an expensive electric car. It has a fanatical, demanding ownership class. And it has a mildly eccentric founder. Plus, the company has a rep for pushing big software updates over the air. When the Tesla Model X developed a defect in its passenger-side airbags, the company fixed it with an over-the-air software update. Credit: www.tesla.com. Earlier this year, it sent an over-the-air fix for the Model X’s passenger-side airbags. And last year, a fatal accident compelled it to send out an updated version of its driver-assisted Autopilot software. For lesser car companies, these fixes would have been led to very expensive, and embarrassing recalls. Tesla makes it look easy. Elegant, even. In the era of smartphones and other digital stuff, consumers have begun to expect instant fixes with software updates. And people get upset when their digital stuff doesn’t work. Consider the classic Louis CK comedy bit about high-speed Wi-Fi on jetliners. In it, he rails against passengers who felt entitled to the then-new high-tech wonder — and threw fits of temper when it glitched. We have been spoiled by software. So, when something breaks, people want it fixed now, and painlessly. Behind the scenes, some truly amazing stuff is happening. It has required a lot of very heavy lifting. Many companies are carrying that burden in ways that are hard to comprehend. As investors, we should take the time to understand. It’s where opportunities hide. Software has begun invading everyday items like cars, fridges and coffeemakers. That’s because semiconductors have become both more powerful and miraculously cheaper. This silicon needs to be programmed. It needs to be checked for systemic errors. That’s a business. In fact, it is a very good business. It’s the kind of businesses I regularly find as I’m searching for opportunities for my members. And don’t forget the companies that design the chips for inexpensive sensors. 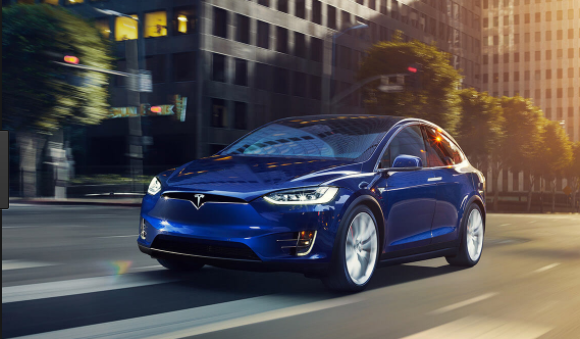 According to the Tesla fan site, Teslarati, the average Model S has 432 lights, 50 electric motors and solenoids, 52 processors and many other sensors. They all require custom silicon. The semiconductor industry is being reimagined to supply sensors. Many new winners are emerging. As for Tesla and over-the-air software updates, the genie is out of the bottle. General Motors (GM) recently announced it will have its own wireless software updates by 2020. And many connected devices routinely fix themselves via software. These include washing machines, refrigerators, blenders and cappuccino makers. It’s a radical change in the nature of consumer products. It’s also a huge opportunity for diligent investors. Check out my services to learn how to play this theme with little-known stocks like Cadence Design Systems (CDNS). I’m so glad to be alive at this point in history. In my nearly 50 years on this planet I have seen a lot of innovation but nothing like what is being developed now. I think the founding fathers.would be blown away by the incredible things being created in what is still the greatest country on earth. And it’s the same old fraud, Elon Musk. I wonder how many billions he’s conned out of politicians to keep his businesses afloat. musk is one of the few businesses who have repaid the loans he got from gov’t…..read the book “thow them all out “for a list of the swindlers who have defrauded the gov’t u won’t find musk listed….